The key to having your meals planned for the week ahead is organisation. That is why I prepare a pile of veg over the weekend and get batch cooking. Don’t be under any illusions now, I’m no food preparation machine, but it is so easy to lash a dinner together during the week when I’ve put the time in at the weekend. Saturday morning I set aside an hour in the morning. The vegetable peeler gets used, alot. I peel a pot of potatoes and set them to boil on the hob. I peel a good few carrots and a turnip, then chop them into equal sized pieces. Half of which goes into a second pot, just about covered with hot water to simmer into a soup. I add in some black pepper and coriander seeds to add to the flavour. At which point the spuds (potatoes) are cooked. I drain them off and add in a good slurp of milk only, no butter. Then mash with the potato masher. The pot gets covered and left to cool to room temperature. 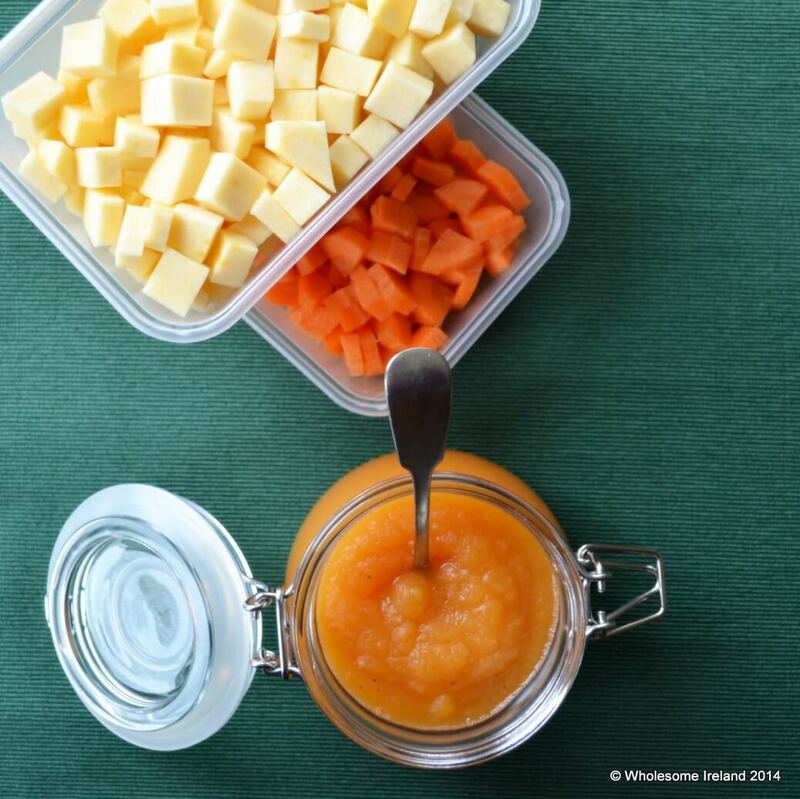 The remaining chopped carrots and turnip gets divided between 2 plastic takeaway containers. They then go in the fridge for meals during the week. They’ll last for between 4-5 days. Soup is ready. I turn off the heat and leave it to cool for 3 minutes before wuzzing (technical term) with the handheld stick blender. The soup is lunch and the remainder goes into a jar and is left to cool before sealing and putting in the fridge for a lunch during the week. The hour is up. I clear down the surfaces and put the peelings into the brown compost bin. It’s another hour or so before the potatoes are cold enough to decant into more plastic boxes with lids. Potato doesn’t keep so well in the fridge so they get frozen instead. There’s enough there for 3 weekday meals. That’s a whole load of homemade convenience food for relatively little effort. HI there, sounds like my saturday. I roast or boil three types of veg from which to garner five portions of soup for me and him, I make loads of bolognese or curry for the kids 5x midday dinners, and then lash out a load of bread and scones to keep us and the freezer going. I love it though, wouldn’t change the day! Exactly Una, you’ve got it to a T! It is a great way to get back in tune with the kitchen after a hectic week. How do you defrost/reheat the potato? I would love to have the spuds all prepped and ready to go! Hi Claire, normally I take it out the morning before and let it come to room temperature, then either microwave the mash for swift dinners or spoon it onto pies for a topping. genius trick with the potatoes. should – “I just don’t have time in the evenings”! Thanks Better Living Guide I appreciate your comments. As I typed the compost instructions I was considering adding in instructions for hen keepers believe it or not! Hi. Just to let you know I scoop the potatoes into balls (with an ice cream scooper!) then open freeze. As soon as they are frozen I pop them into a ziplock bag and keep in freezer for up to a month. When required I can take out as many scoops as needed and zap straight from frozen at 1 min per scoop on high. Very handy. Great idea Fiona. Brilliant Tip! 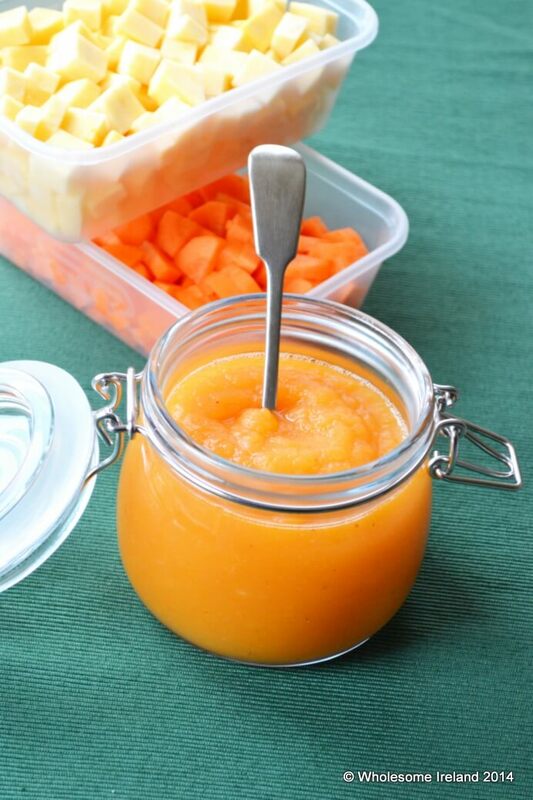 Hi, do you put water in with the carrots and turnips when storing in the fridge? I don’t. You don’t need to if the container is sealed. I hope this helps.